What is SylSpace on syllabus.space? It is a third-generation web course management system, with an intentional focus on ease-of-use and simplicity. 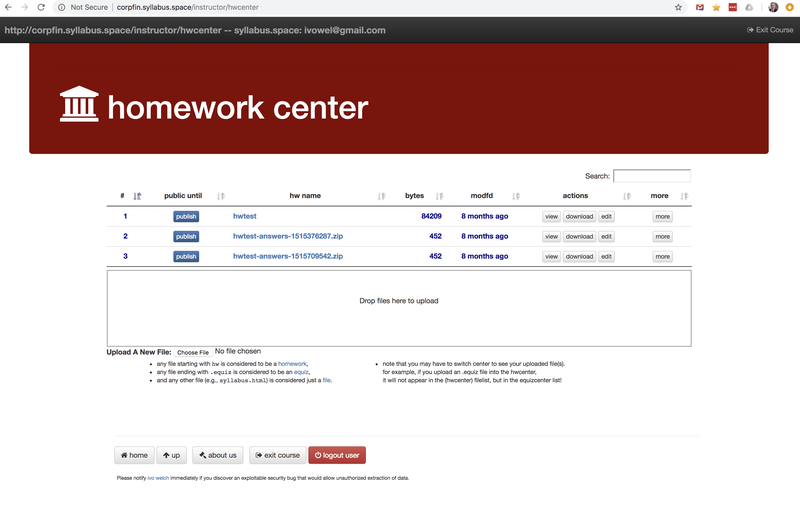 The webapp software is SylSpace, the main site designed to run it is syllabus.space. 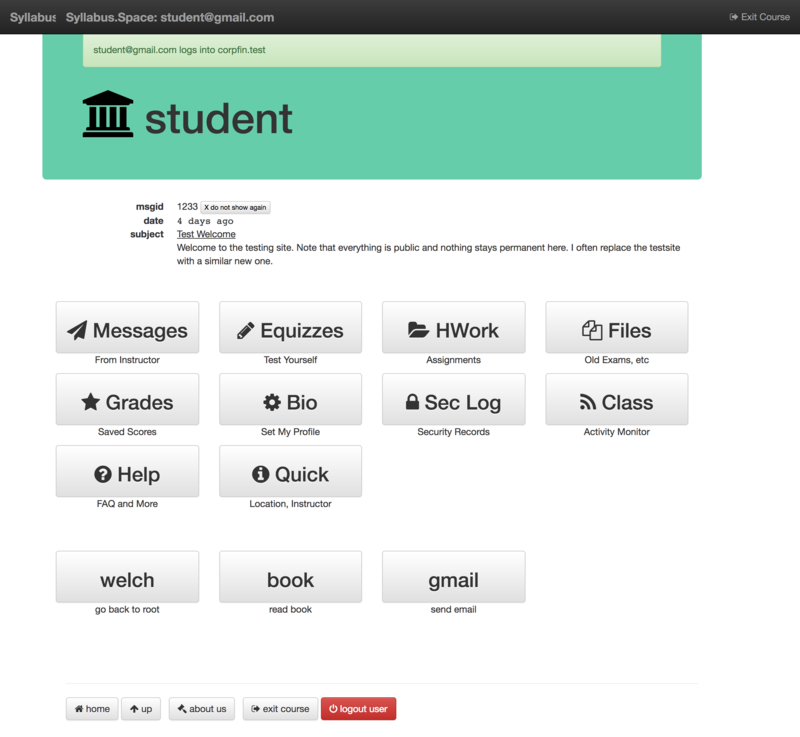 (You are currently running it on syllabus.space right now.) There is almost no learning curve involved in using the system. 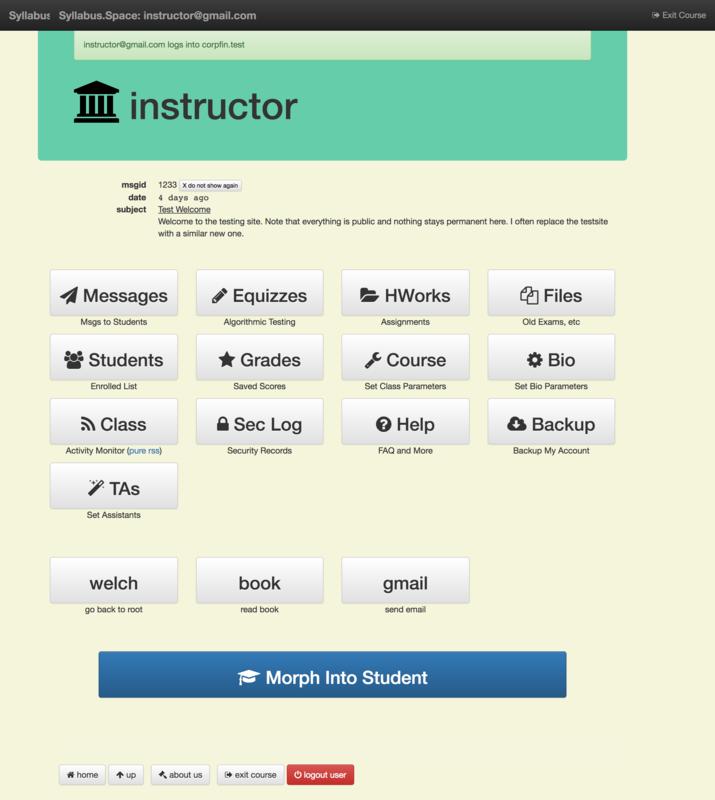 A messaging system from instructor to students (to avoid spam filters and emails). 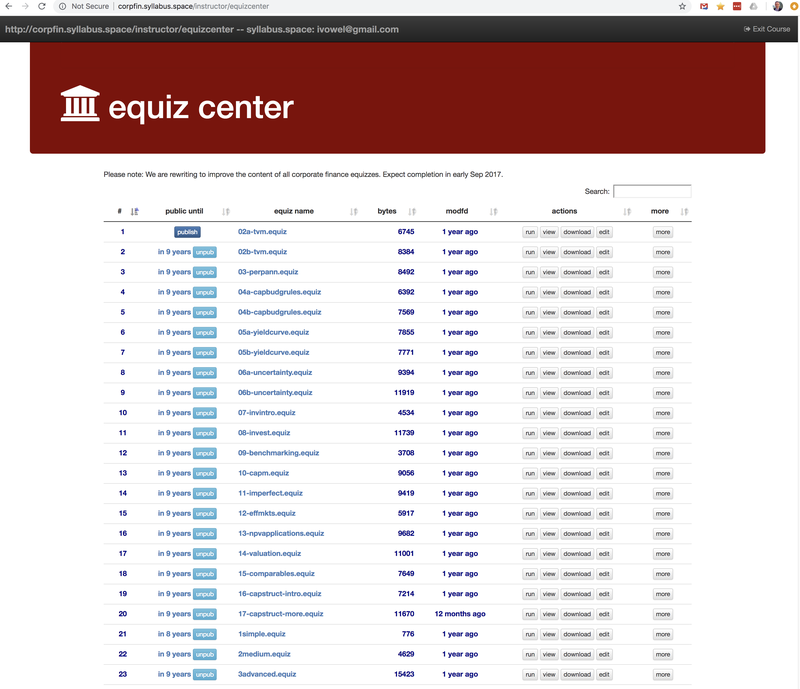 An equiz system to allow instructors to design and post quizzes, in which the question numbers can change with each browser refresh. 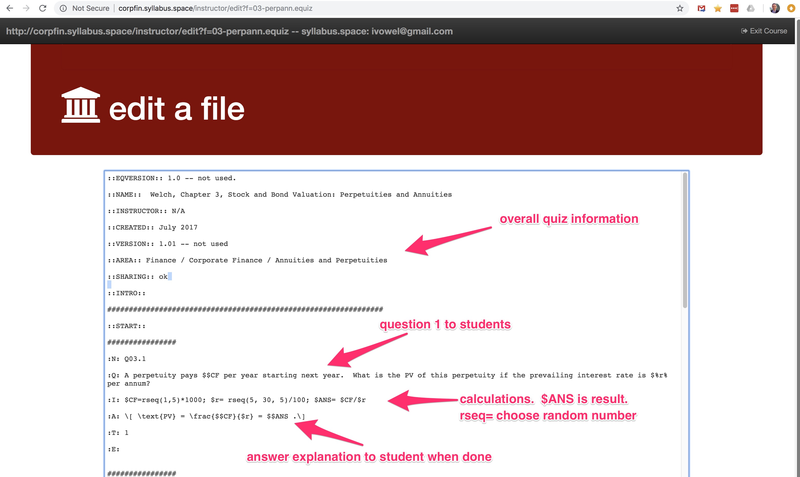 A file posting system, both for tasks and homeworks [with student-uploadable responses] and for useful files (such as a syllabus, a class faq, etc). 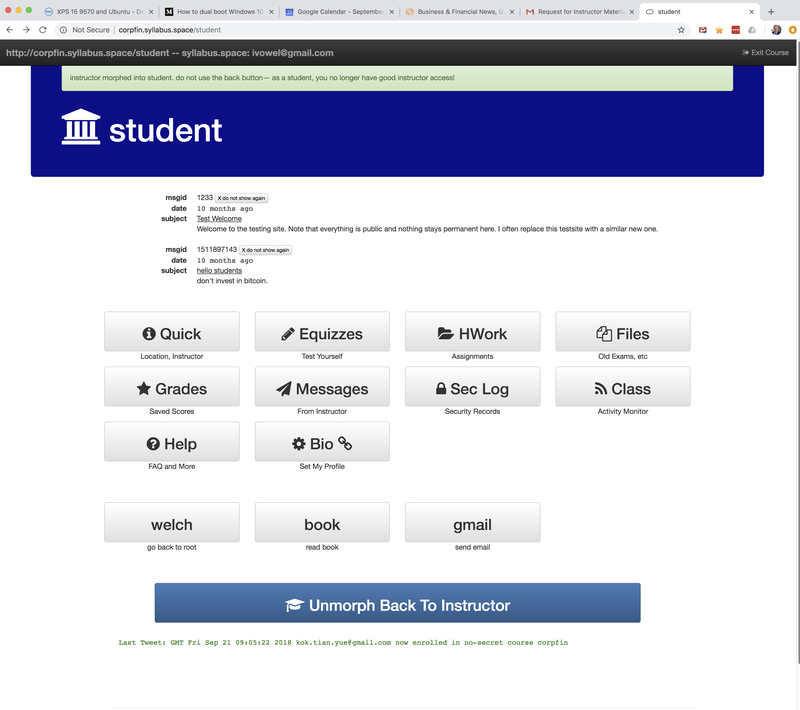 A grading platform which allows instructors to keep track of task grades and allows students to see their grades as they are entered. Addable links to further content elsewhere. Instructors can ignore facilities that they are not interested in. 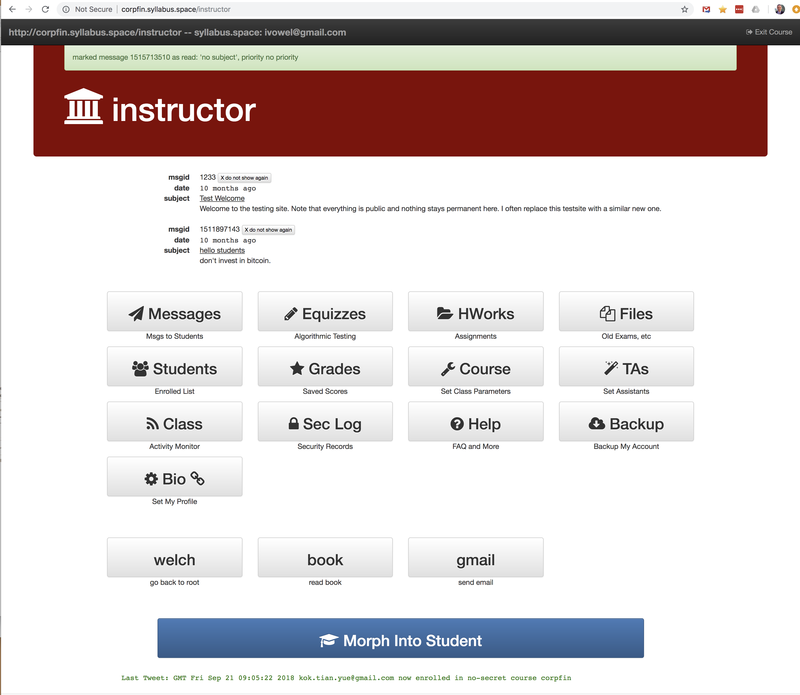 Students can enroll in courses only with an instructor-set coursesecret when set (or any if none set). 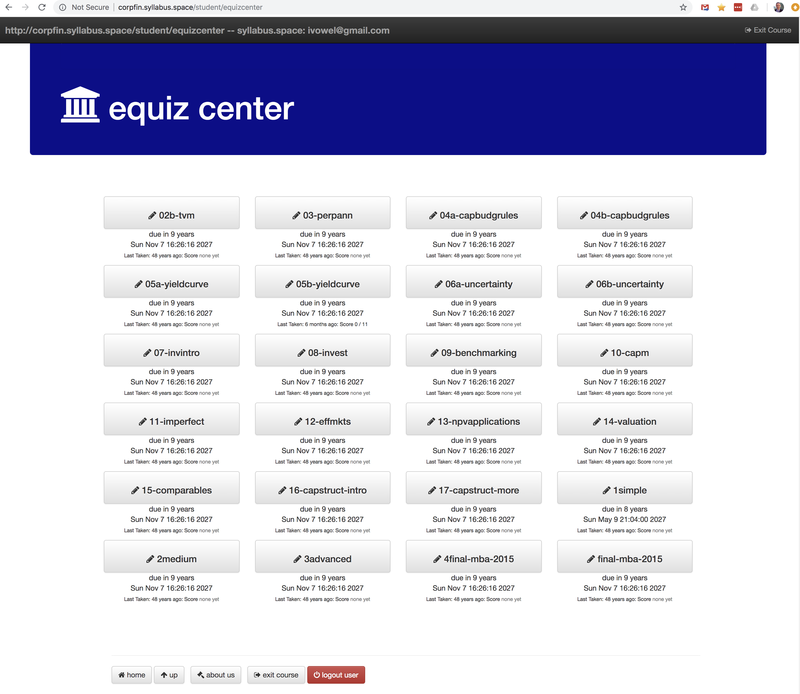 The typical webapp comes with the corporate finance course for student self-testing without course password. 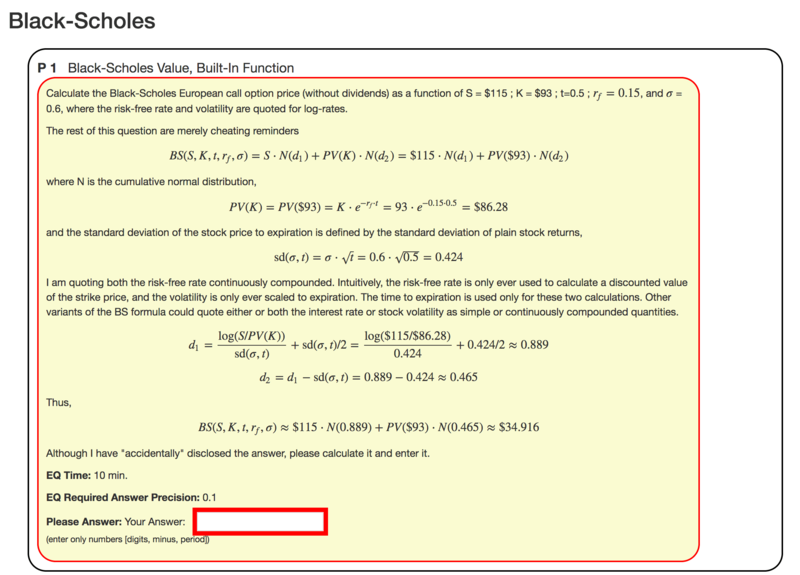 The system comes with a tutorial template (to teach how to write equizzes), a few sample questions (illustrating specific features) that can be altered and saved by instructors, and a full set of questions accompanying the Welch Corporate Finance introductory textbook. An instructor who just wants to use the basic questions never needs to learn how to write her own equizzes (even though this is not difficult). The site also maintains a generic introductory corporate finance course, which posts the relevant quizzes. This is suitable for all students using any kind of book. There is no coursesecret on this course, so any students can sign up, enroll in this course, and take quizzes to their delight. Every time, the numbers are different, which means that the quizzes are useful even after having taken them once. More FAQ information is provided to logged-in users. 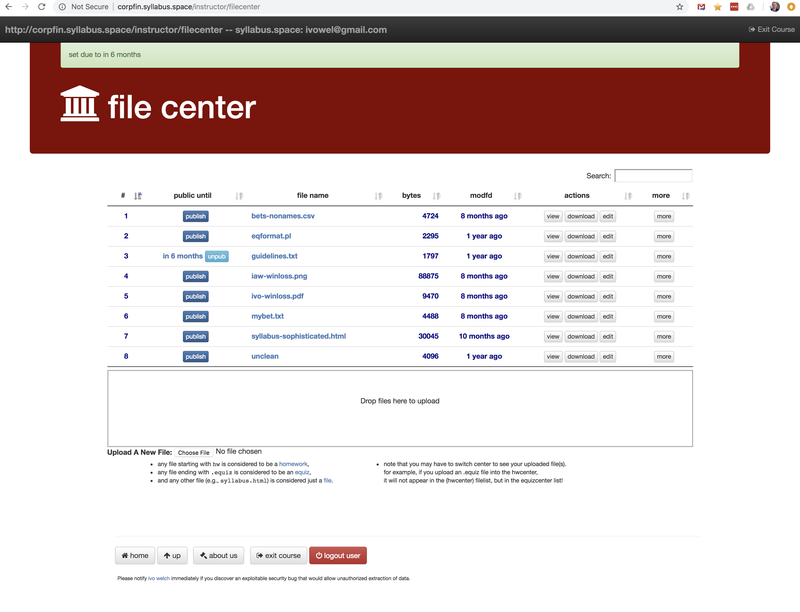 Please notify ivo welch immediately if you discover an exploitable security bug that would allow unauthorized extraction of data.